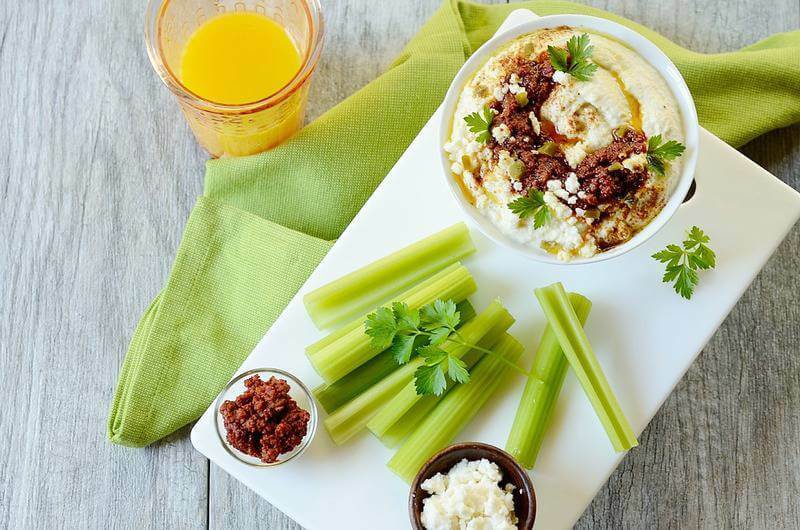 A quick, gluten-free, low carb cauliflower jalapeno hummus topped with crumbled queso fresco and chorizo and served with celery sticks. Disclosure: This is a compensated campaign in collaboration with Cacique Inc. and Society Culinaria. As always, all the opinions expressed here are honest and my own! Thank you for supporting that brands that I work with and love. NFL season is still on! And right along with sporting events comes food, of course… and the best eats are handy and tasty finger foods. They don’t have to be heavy in order to be delicious and fun. 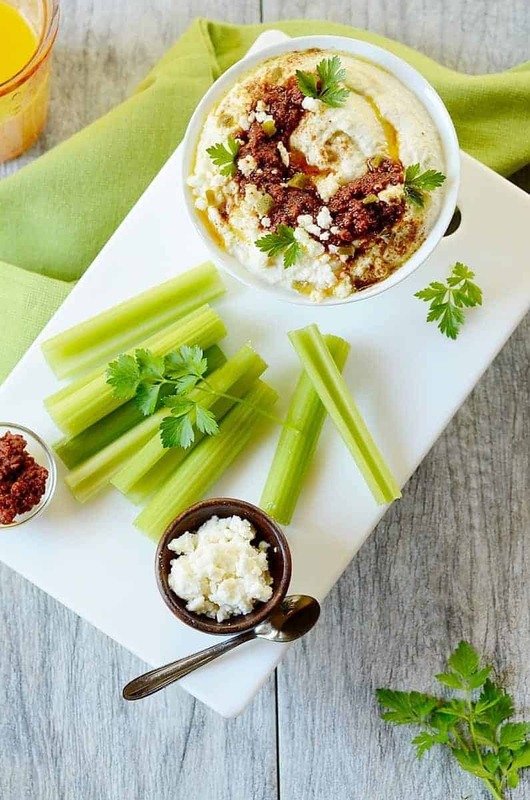 This quick, low carb, gluten-free Cauliflower Jalapeno Hummus with Cheese and Chorizo will blow your mind. Excited? Now tell me, who isn’t crazy for hummus? How about cheese and chorizo sausage? Just the mention of them makes my mouth water!!! This cauliflower jalapeno hummus is super easy to prepare and a real crowd-pleaser! Don’t believe me? Well, then see for yourself! Our hummus follows the same concept as the classic Levantine dip or spread prepared with garbanzo beans. It is made with tahini paste, lemon juice, salt, garlic, olive oil, jalapeno, cilantro or parsley, and Cacique Queso Fresco. The difference is that in this recipe, cooked cauliflower is used instead of garbanzo beans, making it a low-carb alternative. Then, it is topped with cooked Cacique Beef Chorizo and crumbled queso fresco. It is served with celery sticks or baby carrots, which are also low in carbs. It is ridiculously easy to prepare. The only thing you have to do, my dear, is to microwave the cauliflower florets with a bit of water and 2 cloves of garlic. Then, process or blend in a food processor or blender with olive oil, lemon juice, garlic, salt, (sesame) paste, jalapeno, cilantro, and queso fresco until smooth. Hummus is placed into a bowl and topped with cooked chorizo and crumbled cheese. Voila! Could any appetizer be easier than that? 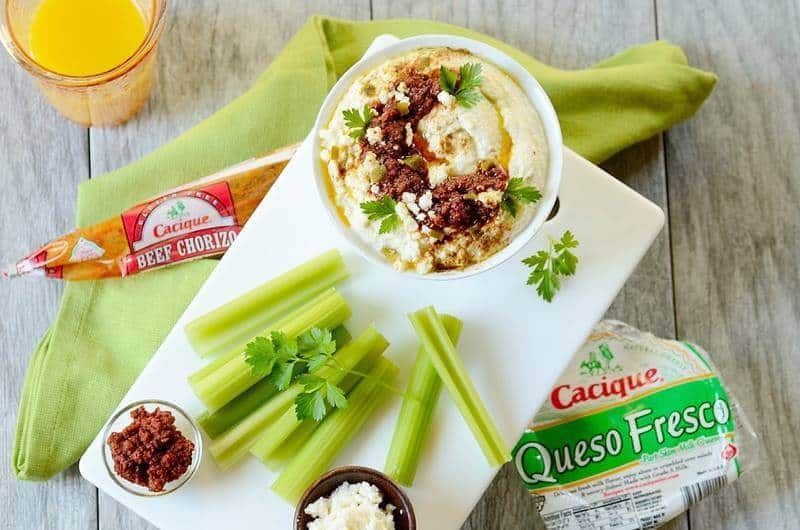 I used Cacique beef chorizo and queso fresco as toppings for this low carb dip. It added a ton of flavor and made our hummus look way more interesting, filling in for the usual drizzle of olive oil and sprinkle of paprika. Actually, the chorizo already contains paprika. 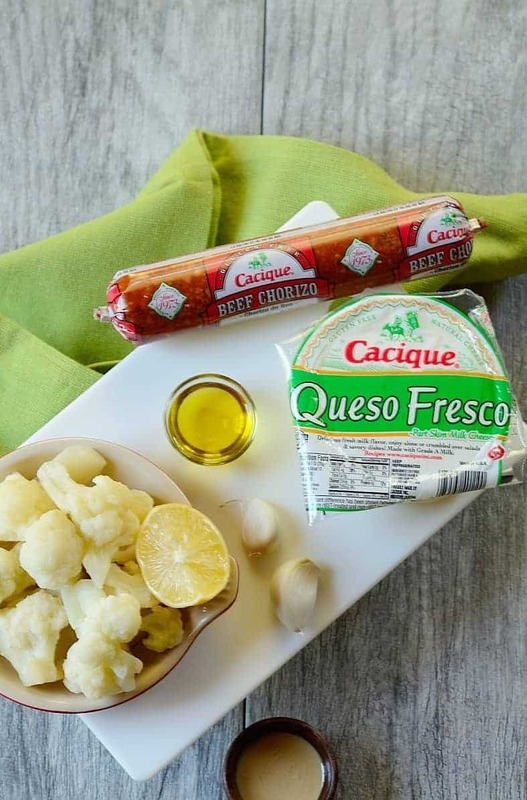 Cacique is the #1 brand of Mexican-Style cheeses and chorizos– a family owned company dedicated to producing the highest quality authentic products. 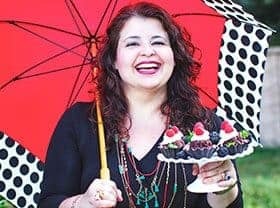 For more yummy recipes like this one, visit the Cacique Blog. There you can also obtain more info about their products and locate them in a local store near you. Well, continue to enjoy the football season along with our cauliflower hummus with cheese and chorizo. Have fun!!! 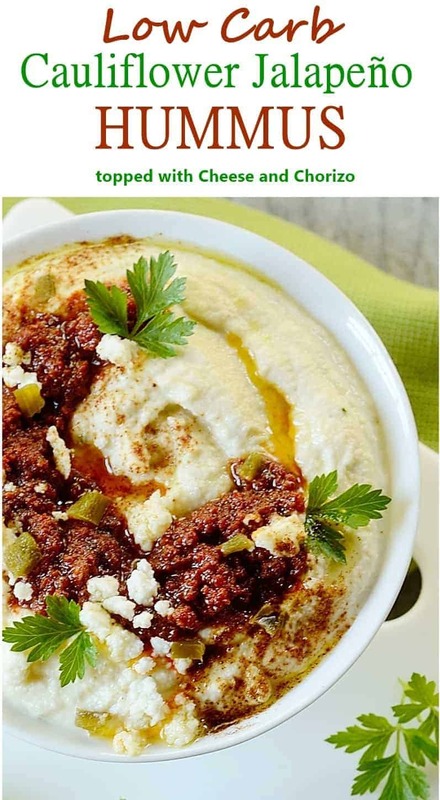 What a scrumptious way to enjoy hummus! Cauliflower is such an underrated vegetable, you’ve given it the spotlight it deserves. Hummus is such good stuff! And love what you’ve done with it in this recipe — inspired stuff. Happy New Year! My husband is trying to watch how many carbs he is eating and your alternative hummus recipe will certainly please him.